Our Website offers the following services: Tuscan Italian Leather Goods. Imported by MALEDETTI TOSCANI USA, INC. of 100% handmade shoes, bags, jackets, accessories, jewelry, pet supplies, and home goods. Unique style with modern flair (Services). The terms “us” or “we” or “our” refers to MALEDETTI TOSCANI USA, INC., the owner of this Website. A “Visitor” is someone that merely browses our Website. A “Member” is someone who has registered with our Website to use our Services. The term “User” is a collective identifier that refers to either a Visitor or a Member. This Agreement is between you and MALEDETTI TOSCANI USA, INC. Except as otherwise noted, this Agreement constitutes the entire and only Agreement between you and MALEDETTI TOSCANI USA, INC. , and supersedes all other Agreements, representations, warranties and understandings with respect to our Website, Services, and the subject matter contained herein. However, in order for you to use our Website and/or Services, you may also be required to agree to additional terms and conditions. Those additional terms and conditions will be incorporated into this Agreement unless otherwise stated. MALEDETTI TOSCANI USA, INC. grants you a non-exclusive, non-transferable, revocable license to access and use our Website and Services strictly in accordance with this Agreement. Your use of our Website and Services are solely for internal, personal, non-commercial purposes, unless otherwise provided in this Agreement. No print out or electronic version of any part of our Website or Services may be used by you in any litigation or arbitration matter whatsoever under any circumstances. This Agreement in no way creates any agency, partnership, joint venture, employee-employer or franchisor-franchisee relationship between you and MALEDETTI TOSCANI USA, INC.
Our Website may contain our service marks or trademarks as well as those of our affiliates or other companies, in the form of words, graphics, and logos. Your use of our Website or Services does not constitute any right or license for you to use our service marks or trademarks, without the prior written permission of MALEDETTI TOSCANI USA, INC. The opinions expressed on our Website are not necessarily the opinions of MALEDETTI TOSCANI USA, INC. Any Blog content provided by our bloggers are of the blogger’s opinion, and is not intended to malign any religion, ethnic group, club, organization, company, individual or anyone or anything. You hereby acknowledge that nothing contained in our Website shall constitute financial, investment, legal and/or other professional advice and that no professional relationship of any kind is created between you and MALEDETTI TOSCANI USA, INC. or our Members. You hereby agree that you shall not make any financial, investment, legal and/or other decision based in whole or in part on anything contained in our Website or Services. THE INCLUSION OF THIRD PARTY ADVERTISEMENTS DOES NOT CONSTITUTE AN ENDORSEMENT, GUARANTEE, WARRANTY, OR RECOMMENDATION BY MALEDETTI TOSCANI USA, INC. AND WE MAKE NO REPRESENTATIONS OR WARRANTIES ABOUT ANY PRODUCT OR SERVICE CONTAINED THEREIN. MALEDETTI TOSCANI USA, INC. is not responsible or liable in any manner for any Content posted on our Website or in connection with our Services, whether posted or caused by Members of our Website, or by MALEDETTI TOSCANI USA, INC. Although we provide rules for Member conduct and postings, we do not control and are not responsible for what Members post, transmit or share on our Website or Services, and are not responsible for any offensive, inappropriate, obscene, unlawful or otherwise objectionable content you may encounter on our Website or Services. MALEDETTI TOSCANI USA, INC. is not responsible for the conduct, whether online or offline, of any user of our Website or Services. Our Website or Services may be temporarily unavailable from time to time for maintenance or other reasons. MALEDETTI TOSCANI USA, INC. assumes no responsibility for any error, omission, interruption, deletion, defect, delay in operation or transmission, communications line failure, theft or destruction or unauthorized access to, or alteration of, Member communications. MALEDETTI TOSCANI USA, INC. is not responsible for any technical malfunction or other problems of any telephone network or service, computer systems, servers or providers, computer or mobile phone equipment, software, failure of email or players on account of technical problems or traffic congestion on the Internet or any combination thereof, including injury or damage to Member’s or to any other person’s computer, mobile phone, or other hardware or software, related to or resulting from using or downloading materials in connection with the our Website or Services, including without limitation any software provide through our Website or Services. Under no circumstances will MALEDETTI TOSCANI USA, INC. be responsible for any loss or damage, including any loss or damage or personal injury or death, resulting from anyone’s use of our Website or Services, or any interactions between Users of our Website or Services, whether online or offline. MALEDETTI TOSCANI USA, INC. reserves the right to change any and all Content, software and other items used or contained in our Website or Services, at any time without notice. Reference to any products, services, processes or other information, by trade name, trademark, manufacturer, supplier or otherwise does not constitute or imply endorsement, sponsorship or recommendation thereof, or any affiliation therewith, by our Website, by third parties or by any of the equipment or programming associated with or utilized by our Services. THE INFORMATION, CONTENT AND DOCUMENTS FROM OR THROUGH OUR WEBSITE ARE PROVIDED “AS-IS,” “AS AVAILABLE,” WITH “ALL FAULTS”, AND ALL WARRANTIES, EXPRESS OR IMPLIED, ARE DISCLAIMED (INCLUDING BUT NOT LIMITED TO THE DISCLAIMER OF ANY IMPLIED WARRANTIES OF MERCHANTABILITY AND FITNESS FOR A PARTICULAR PURPOSE). OUR WEBSITE AND SERVICES MAY CONTAIN BUGS, ERRORS, PROBLEMS OR OTHER LIMITATIONS. 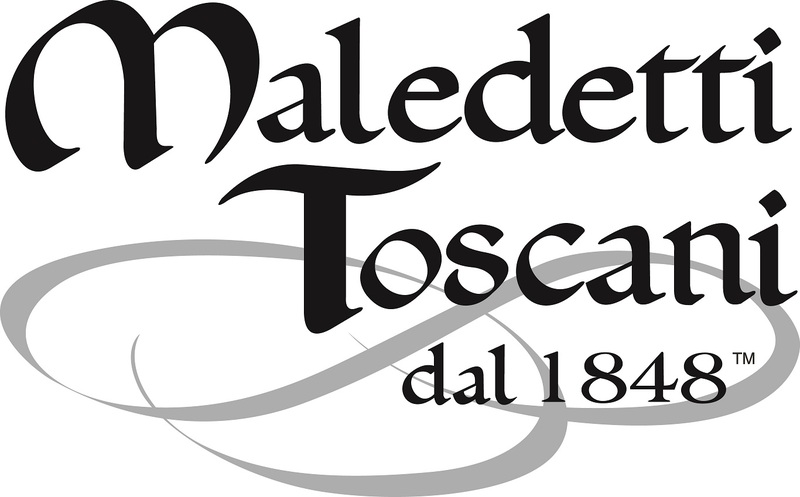 MALEDETTI TOSCANI USA, INC. INCLUDING ALL OUR AFFILIATES, HAVE NO LIABILITY WHATSOEVER FOR YOUR USE OF OUR WEBSITE OR SERVICES. MALEDETTI TOSCANI USA, INC. CANNOT GUARANTEE AND DOES NOT PROMISE ANY SPECIFIC RESULTS FROM USE OF OUR WEBSITE OR SERVICES, INCLUDING, BUT NOT LIMITED TO, RELATED SOFTWARE. MALEDETTI TOSCANI USA, INC. DOES NOT REPRESENT OR WARRANT THAT OUR CONTENT, OUR SERVICES, OR ANY SOFTWARE FOUND WITHIN ARE ACCURATE, COMPLETE, RELIABLE, CURRENT OR ERROR-FREE OR THAT ANY SUCH ITEMS ARE FREE OF VIRUSES OR OTHER HARMFUL COMPONENTS. THEREFORE, YOU SHOULD EXERCISE CAUTION IN THE USE AND DOWNLOADING OF ANY SUCH CONTENT OR SOFTWARE AND USE INDUSTRY-RECOGNIZED SOFTWARE TO DETECT AND REMOVE VIRUSES. ALL RESPONSIBILITY OR LIABILITY FOR ANY DAMAGES CAUSED BY VIRUSES SOMEHOW ATTRIBUTED TO OUR CONTENT, SERVICES, AND RELATED SOFTWARE IS DISCLAIMED. WITHOUT LIMITING THE FOREGOING, YOU UNDERSTAND AND AGREE THAT YOU DOWNLOAD OR OTHERWISE OBTAIN CONTENT AND RELATED SOFTWARE FROM OR THROUGH OUR WEBSITE OR SERVICES AT YOUR OWN RISK AND THAT YOU WILL BE SOLELY RESPONSIBLE FOR YOUR USE THEREOF AND ANY DAMAGES TO YOUR MOBILE DEVICE OR COMPUTER SYSTEM, LOSS OF DATA OR OTHER HARM OF ANY KIND THAT MAY RESULT. WE, AS WELL AS ALL OF OUR AFFILIATES, ARE NOT LIABLE FOR ANY INDIRECT, SPECIAL, INCIDENTAL OR CONSEQUENTIAL DAMAGES (INCLUDING DAMAGES FOR LOSS OF BUSINESS, LOSS OF PROFITS, LITIGATION, OR THE LIKE), WHETHER BASED ON BREACH OF CONTRACT, BREACH OF WARRANTY, TORT (INCLUDING NEGLIGENCE), PRODUCT LIABILITY OR OTHERWISE, EVEN IF ADVISED OF THE POSSIBILITY OF SUCH DAMAGES. THE NEGATION AND LIMITATION OF DAMAGES SET FORTH ABOVE ARE FUNDAMENTAL ELEMENTS OF THE BASIS OF THE BARGAIN BETWEEN YOU AND MALEDETTI TOSCANI USA, INC. OUR WEBSITE AND SERVICES WOULD NOT BE PROVIDED WITHOUT SUCH LIMITATIONS. NO ADVICE OR INFORMATION, WHETHER ORAL OR WRITTEN, OBTAINED BY YOU FROM US THROUGH OUR WEBSITE OR SERVICES SHALL CREATE ANY WARRANTY, REPRESENTATION OR GUARANTEE NOT EXPRESSLY STATED IN THIS AGREEMENT. MALEDETTI TOSCANI USA, INC. as well as all our Affiliates, shall not be liable for any loss, injury, claim, liability, or damage of any kind resulting in any way from (a) any errors in or omissions from our Website or Services, (b) any product liability issues to the extent that we are not involved with the manufacturer of the product(s) giving rise to liability, (c) the unavailability or interruption of our Website or Services, (d) your use of our Website our Content, (e) the content contained on our Website or Services, or (f) any delay or failure in performance of our Website and Services beyond our control. IN NO EVENT WILL MALEDETTI TOSCANI USA, INC. OR ITS DIRECTORS, EMPLOYEES OR AGENTS BE LIABLE TO YOU OR ANY THIRD PERSON FOR ANY INDIRECT, CONSEQUENTIAL, EXEMPLARY, INCIDENTAL, SPECIAL OR PUNITIVE DAMAGES, INCLUDING FOR ANY LOST PROFITS OR LOST DATA ARISING FROM YOUR USE OF OUR WEBSITE, CONTENT, SERVICES, OR ANY RELATED SOFTWARE, ACCESSED THROUGH OR DOWNLOADED FROM OUR WEBSITE OR SERVICES, EVEN IF MALEDETTI TOSCANI USA, INC. IS AWARE OR HAS BEEN ADVISED OF THE POSSIBILITY OF SUCH DAMAGES. NOTWITHSTANDING ANYTHING TO THE CONTRARY CONTAINED HEREIN, MALEDETTI TOSCANI USA, INC.’S LIABILITY TO YOU FOR ANY CAUSE WHATSOEVER, AND REGARDLESS OF THE FORM OF THE ACTION, WILL AT ALL TIMES BE LIMITED TO THE AMOUNT PAID, IF ANY, BY YOU TO US FOR WEBSITE AND/OR SERVICES ACCESS DURING THE PREVIOUS MONTH OF YOUR MEMBERSHIP PRIOR TO THE EVENT GIVING RISE TO LIABILITY. Members may post their own content to our Website through our Services (Member Content). Members and Visitors understand that by using our Website or Service, they may be exposed to content that is offensive, indecent, or objectionable. We have no control over Member Content and do not in any way guarantee the quality, accuracy or integrity of such content. MALEDETTI TOSCANI USA, INC. is not responsible for the monitoring or filtering of any Member content. Should any Member Content be found illegal, MALEDETTI TOSCANI USA, INC. will submit all necessary information to the proper authorities. If any Member Content is reported to MALEDETTI TOSCANI USA, INC. as being offensive or inappropriate, we may ask the Member to retract or otherwise modify the questionable content within 24 hours of being notified by MALEDETTI TOSCANI USA, INC. Should the Member fail to meet such a request, MALEDETTI TOSCANI USA, INC. has full authority to either restrict the Member’s ability to post Member Content OR to immediately terminate the membership of the Member, without further notification to the Member. In the sole judgment of MALEDETTI TOSCANI USA, INC. is objectionable or which restricts or inhibits any other person from using or enjoying our Website or Services, or which may expose MALEDETTI TOSCANI USA, INC., our affiliates, or our Users to any harm or liability of any type. Our Website may, from time to time, contain links to third party websites. These links are provided solely as a convenience to you. By linking to these websites, we do not create or have an affiliation with, or sponsor such third party websites. Inclusion of links for any website on our Website does not mean that we endorse, guarantee, warrant, or recommend the services, information, content and/or data of such third party websites. MALEDETTI TOSCANI USA, INC. has no control over the legal documents and privacy practices of third party websites; as such, you access any such third party websites at your own risk. The arbitration shall be conducted in Vero Beach, Florida and judgment on the arbitration award may be entered into any court having jurisdiction thereof. Either you or us may seek any interim or preliminary relief from a court of competent jurisdiction in Vero Beach, Florida necessary to protect the rights or property of you and us pending the completion of arbitration. Each party shall bear one-half of the arbitration fees and costs. This Agreement shall be treated as though it were executed and performed in Vero Beach, Florida, and shall be governed by and construed in accordance with the laws of the State of Florida without regard to conflict of law principles. In addition, you agree to submit to the personal jurisdiction and venue of such courts. Any cause of action by you with respect to our Website or Service must be instituted within one (1) year after the cause of action arose or be forever waived and barred. Should any part of this Agreement be held invalid or unenforceable, that portion shall be construed consistent with applicable law and the remaining portions shall remain in full force and effect. To the extent that any Content is in conflict or inconsistent with this Agreement, this Agreement shall take precedence. Our failure to enforce any provision of this Agreement shall not be deemed a waiver of such provision nor of the right to enforce such provision. Our rights under this Agreement shall survive any termination of this Agreement. © 2016 Copyright Maledetti Toscani USA. All Rights Reserved Worldwide. Website by Advertising Vero Beach.